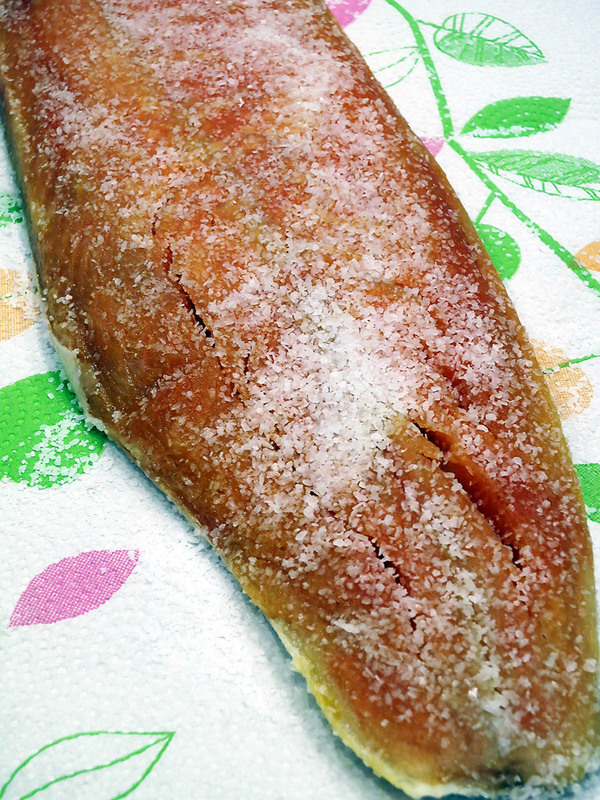 Never thought of pickled salmon but since they do pickled herring… I’ll have to try this, it looks delicious. It’s certainly different, but it’s good!!! Looks wonderful Mimi. We’re salmon lovers too, I make gravlax with citrus vodka, lemon and thyme. I must try pickled salmon. Your photos are enticing.. Yay!!! Now I can see your pretty face behind the red specs!!! After a cut and colour! Just for you Mimi….. This way is certainly not fatty! I tried it in a salad yesterday and it was really good! Wow Mimi, it sounds delicious. 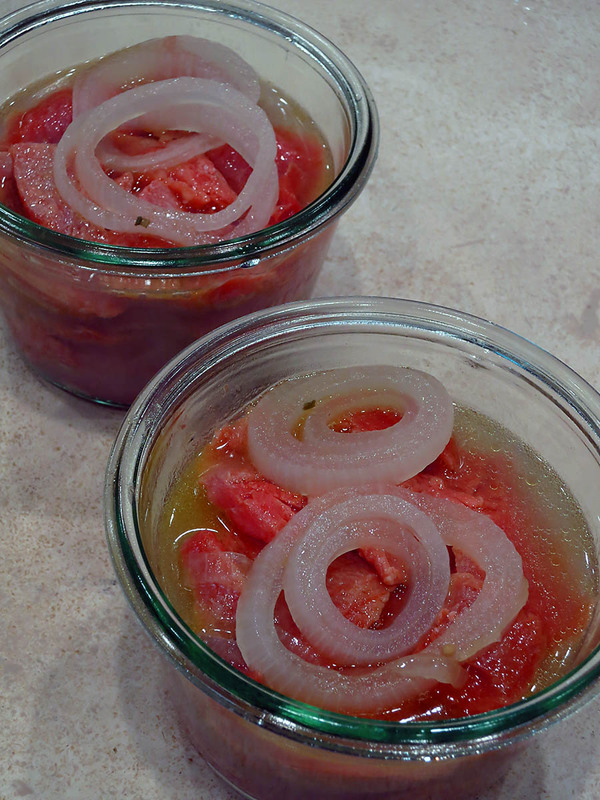 I love gravlax and love the idea of pickled salmon also. Sounds simple to do too! It was simple. I’d add thyme and parsley next time for a little extra flavor! Very very interesting…. we are on the same page, actually, although you actually MADE the recipe, and I am in the flirting stages and wondering when I’ll be able to do it. I found this recipe for a brined salmon – ok, not pickled, but it is a very strong brine, that requires perfect timing, just a few minutes. I should really go for it and if it’s good share on the blog. I actually thought the salmon could have more flavor. This definitely isn’t brined – that sounds really good. I was surprised the vinegar didn’t “cook ” the salmon, but it was diluted. Hi Mimi, when I saw the title of the post I thought it would be raw pickled salmon, but instead it seems to be cooked in the hot vinegar after a brief cure. I don’t think I’ve ever tasted something similar, and I’m curious as to what it tastes like. You’ll love gravad lax, it is definitely worth the effort. The salmon didn’t seem to “cook” when I poured the vinegar over it, but then, it was diluted. 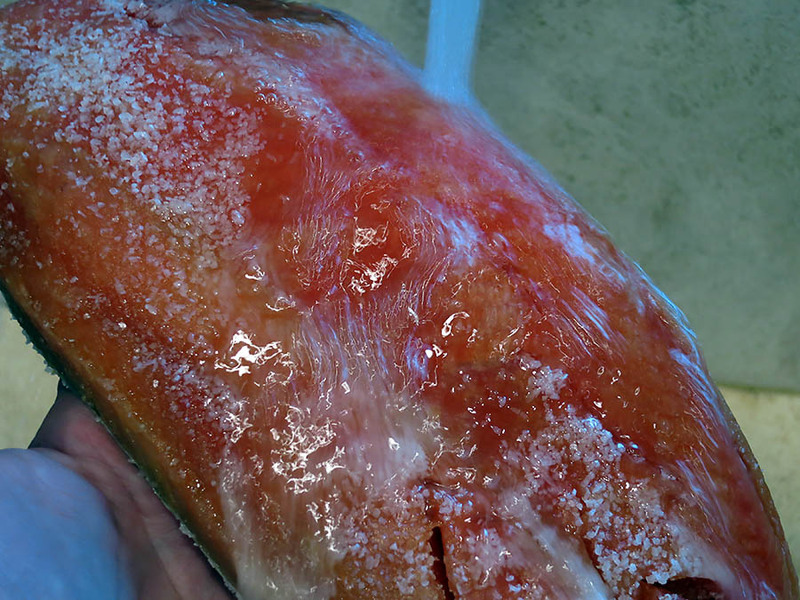 The salmon has a unique texture – not dry, but not like fresh. It’s interesting. 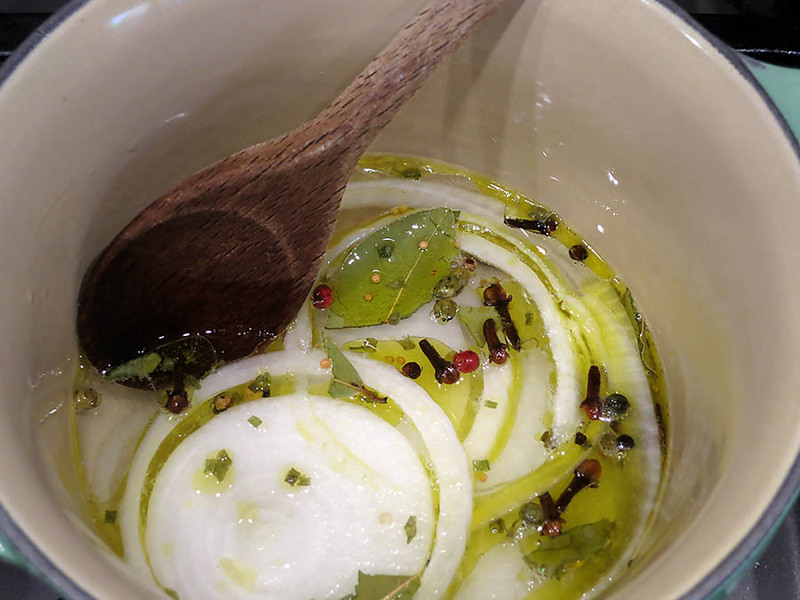 If I made it again, I would add more flavor to the pickling liquid. Except definitely more in the pickled family. I’m trying to think of different ways to use it, but I can’t. So I just keep munching on it! I don’t want to freak you out…but I’m pretty sure you’re my soulmate. You think tuna casserole looks gross, you love all things Ottolenghi, and you know that salmon is delicious in all its forms. I have yet to find something to disagree with. It’s an old series, but not outdated. I refer to the books often! I’ve pickled shrimp but never thought to pickle salmon. I would love this! Oh, how exciting… You know, if you can get such wonderful salmon, I’d personally just eat it as it – especially sauteed in butter or smoked. Jealous!!! Hahaha! Personally, I’m sticking to smoked salmon (lox-style), but it was fun to do! Never know there’s such a pikled salmon instead of ceviche before, this recipe is must try!!! Looks delicious Mimi. Having just spent a long weekend in Copenhagen eating Nordic food, I’m very much into all things pickled at the moment, fish or vegetable. Oh nice. A place on my travel list. I would love the food there, but my husband hates vinegar!! !